Japanese swords and equipment for serious training! Our focus is supporting students of the sword and providing high quality functional swords and a full line of accessories. 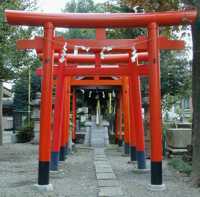 If you study iaido, battodo, kenjutsu, or any other form of Japanese swordsmanship - this is the place you have been looking for. You can choose from over 80 different katana that we have in-stock at our store. We carry shinken (cutting swords) and iaito (practice swords). Not a martial artist and just looking for a real samurai sword? We can help you too. We offer CAS Hanwei and Cold Steel swords for the discriminating collector. These hand forged swords are made with traditional techniques. Don't know anything about Japanese Swords? Check out our FAQ section to get started. We have new and Japanese tatami omote targets in stock and ready to ship. These targets are recommended for serious tameshigiri (test cutting) and available in bulk. 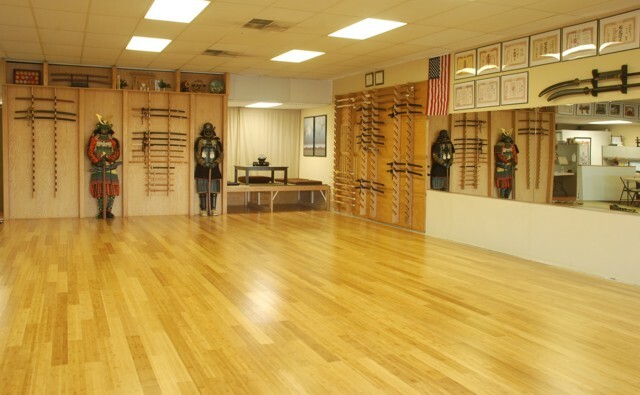 Come visit us in our new store with more space and a much larger dojo area. We have over 80 different sword models in stock and ready for you to try. Come to shop for a new sword or join us in our traditional Japanese sword training. BTW Doug and Mike are using the Tori XL, James and Stephen are using the Practical XL, Adrian is using the Oni, and Sherry is using the Musashi XL. We offer a full line of training equipment and services. We are a one stop shop for your training and collecting needs. We offer training, sharpening, and repair in addition to a full line of iaito and shinken. Check out our DIY guides useful data on maintaining or upgrading your swords. Buy from a company that can do more than just ship you a sword. If you live in the Tampa / St Pete area, come visit us at our store at 5980 66th St N Suite M in St Petersburg Florida. We offer Toyama Ryu Swordsmanship classes. Bokken - Wooden training swords used for blocking and paired practice kata. Shinai - Split bamboo swords used for kendo practice.